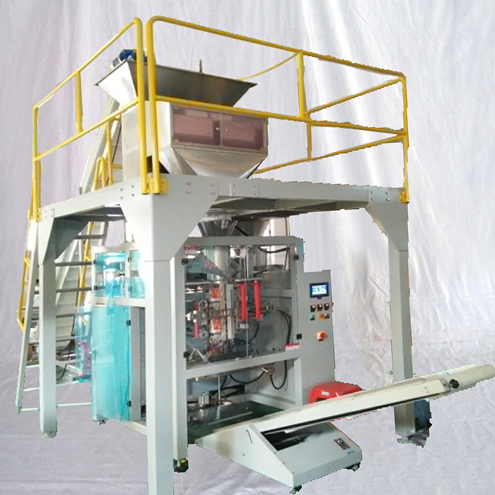 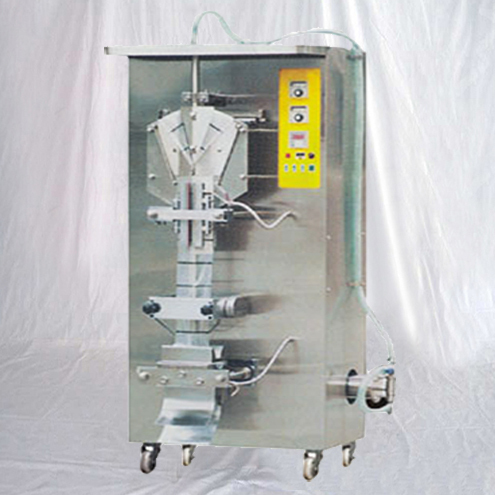 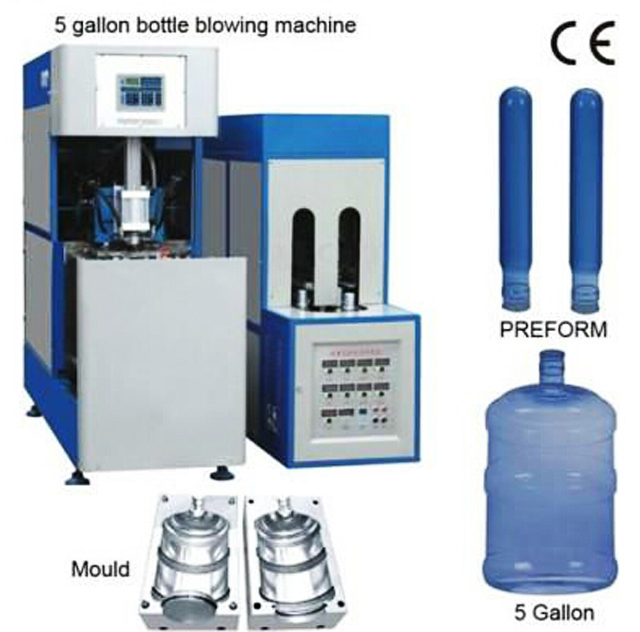 This Semi-auto 5Gallon Bottle Blow Molding Machine is suitable for producing PET plastic containers and bottles of 18Liters -20Liters. 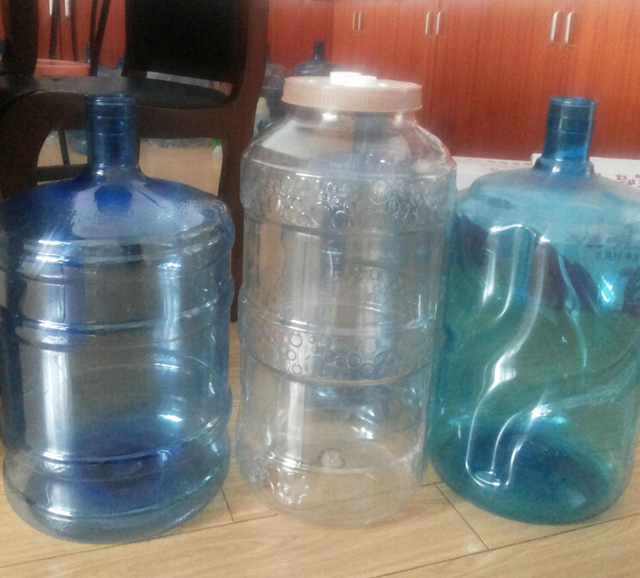 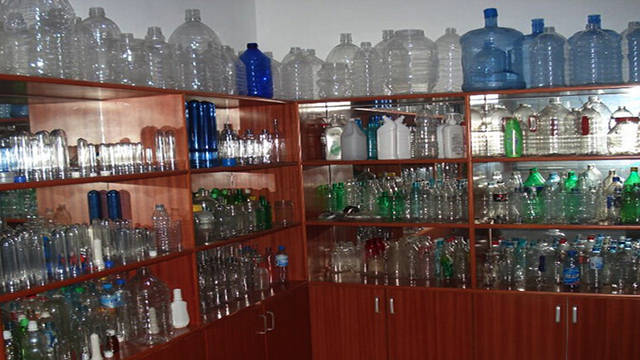 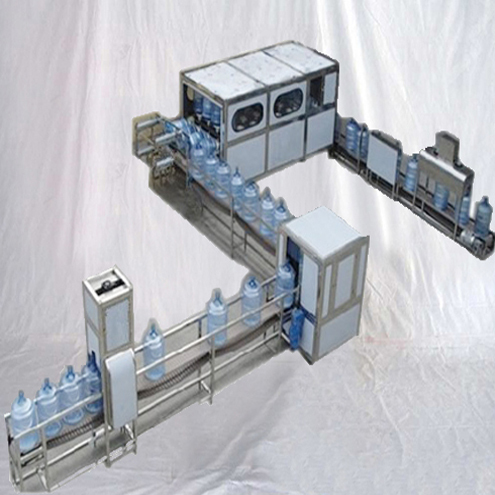 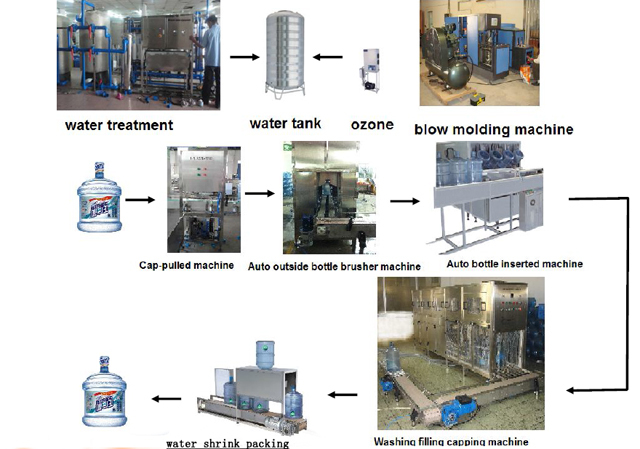 It is widely used to produce the pure water bottle, mineral water bottle cosmetics, wide-mouth bottle and hot fill bottle etc. 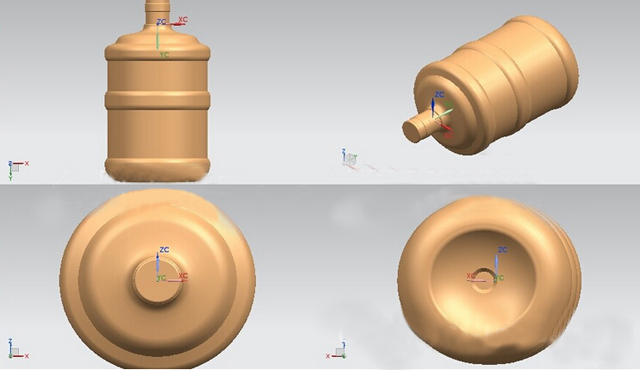 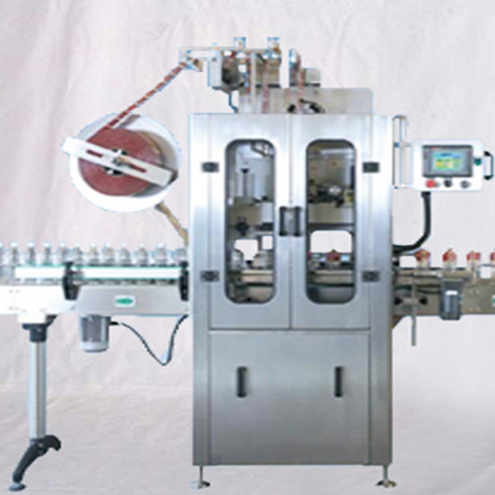 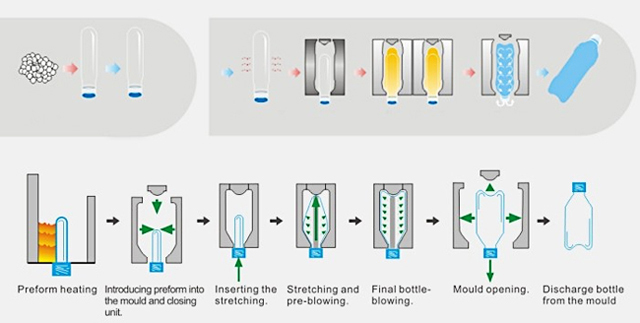 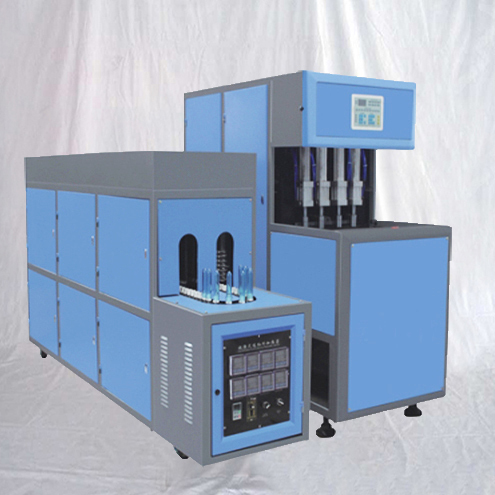 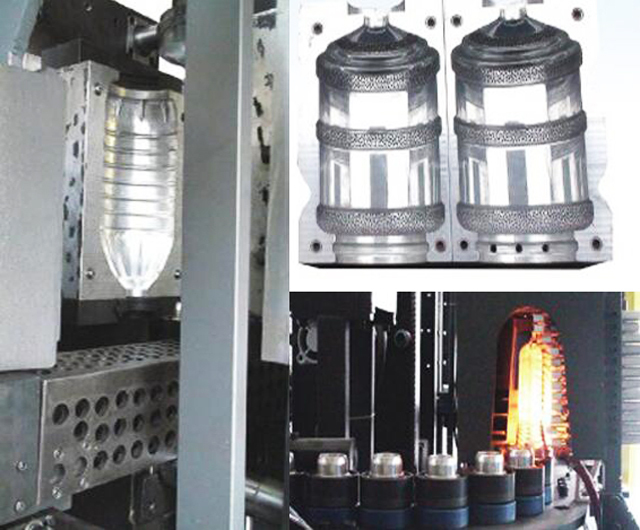 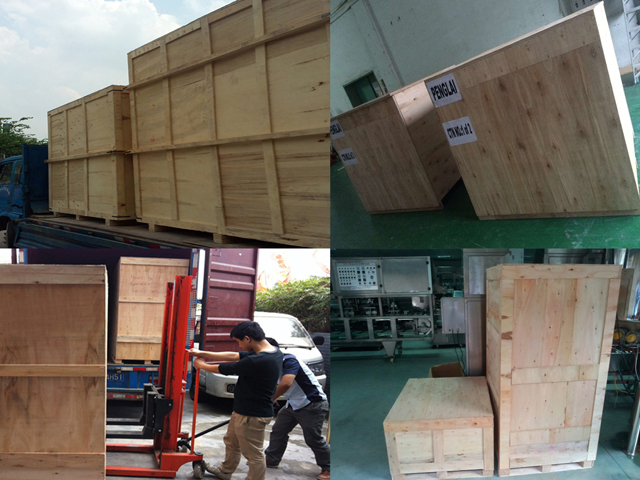 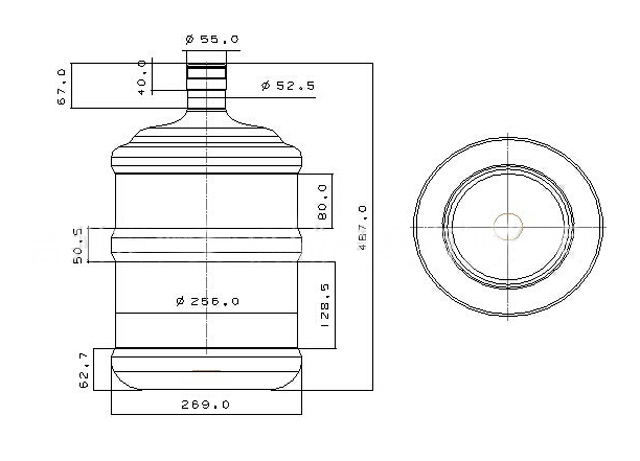 Preform heating-Introducing preform into the mould and closing unit-Inserting the stretching-Stretching and pre blowing-Final bottle blowing-Mould opening Discharge bottle from the mould. 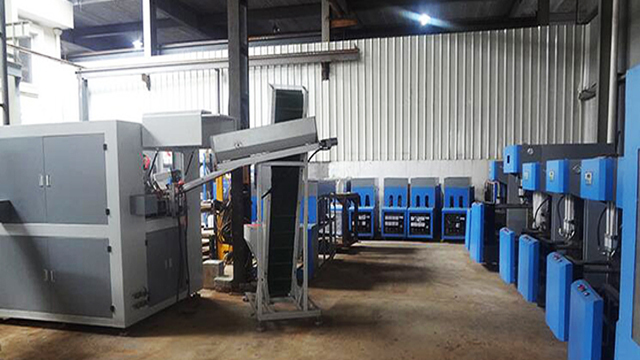 5) The machine is small with low investment, easy and safe to operate by one person. 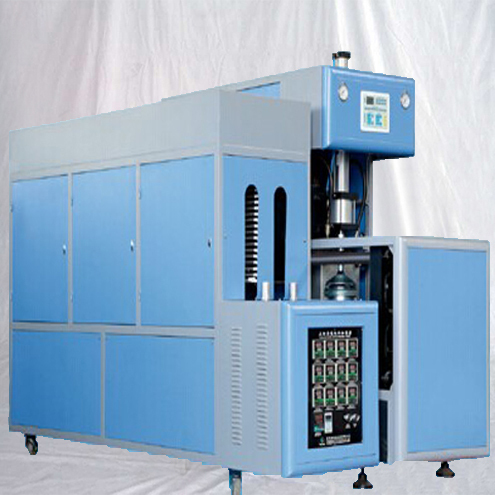 (1) Air compressor is the air source for PET stretch blow molding machine, carrying out the process of compressing air from atmosphere to the required pressure. 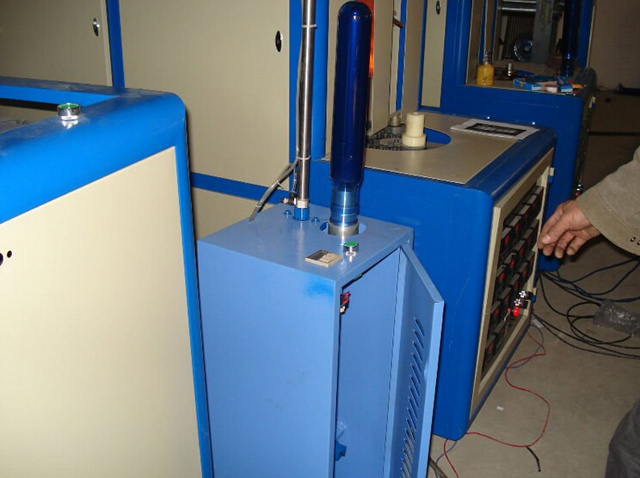 (2) Air dryer is to remove the moisture from the compressed air and lower temperature of the compressed air in the heat exchanger. 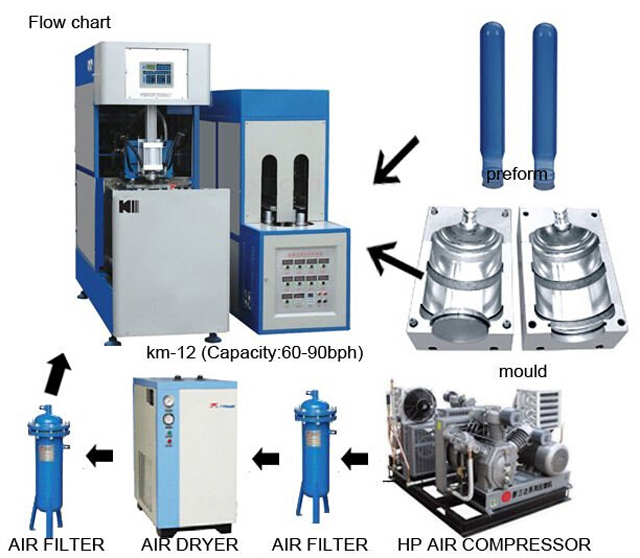 (3) Air filter is to clear up the impurities out of the compressed air, like carbon-hydrogen, tiny dust and solid particles. 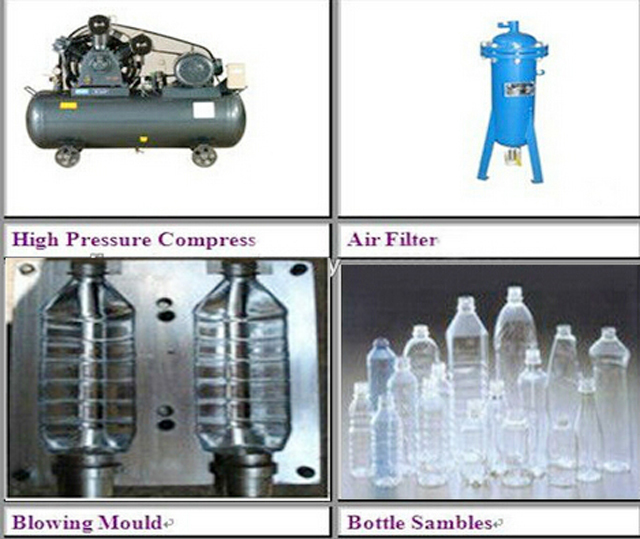 (4) Air tank is to receive and supply air for the machine as storage.